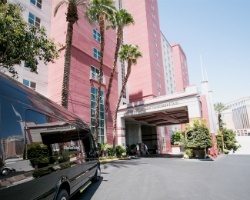 *Hilton Grand Vacations Club at the Flamingo* is a beautiful resort located next door to the Flamingo Hotel in Las Vegas, Nevada! On-site, there is a private swimming pool and a children's pool. 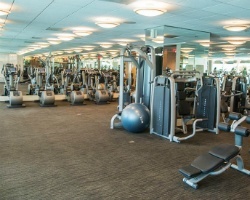 There is also a fitness center, sauna, executive board room, and deli. Additionally, guests have access to the Flamingo recreation complex which has swimming pools, cascading waterfalls, tropical gardens, lagoons, tennis courts, and a poolside cafe. The property also features a variety of shows, restaurants, and casino gaming. There are 303 spacious suites. 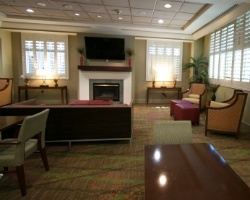 Rooms feature private spa tubs, kitchens or kitchenettes, cable TV/DVD players, and high speed wireless Internet access. Rooms look out over courtyards, with some 3,000 palm trees and live flamingos that roam the grounds. For more information about this resort or other fabulous Hilton Grand Vacations Club resort locations, visit www.hiltongrandvacations.com. *RCI Gold Crown Resort* Featuring beautifully appointed studio, 1 and 2 bedroom luxury accommodations that are spacious and comfortable, with annual usage based on the points system. Purchase includes 3,400 points every year to exchange at this outstanding Las Vegas resort, or anywhere in the Hilton Grand Vacations Club network. This year's points are also included in the sale! Maintenance fees are paid to date, and all offers are negotiable.. For more exciting details or to make an offer, please submit the inquiry form.